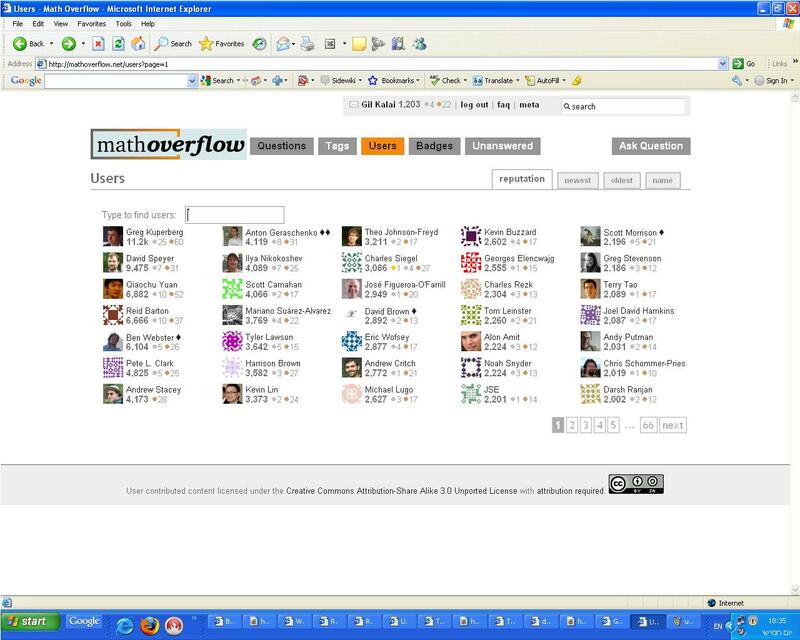 Coming from the regular Stack Overflow, the high quality of discussion on Math Overflow is very noticeable. Questions are well presented and detailed, answers and comments are thorough and precise. What specific steps or policy changes have been made that have led to or ensure this? Is this merely a byproduct of the nature of the profession? What part, if any, does Math StackExchange have in this? Is there an unspoken threshold to meet when asking a question below which the discussion is directed to the aforementioned site instead? MO is aimed at questions from professional mathematicians (including PhD students), though we accept questions at a comparable level from amateurs and strong undergraduates. We don't allow questions at the undergraduate or lower levels. m.SE like SO accepts questions at all levels. Note that MO predated m.SE by quite a bit, so the existence of m.SE isn't the direct causal factor here. Prior to the existence of m.SE we simply closed lower level questions, but now we will direct good lower level questions to m.SE. The fact that MO is aimed at math professionals keeps the mathematical level of the questions high. But the fact that math professionals are a relatively small and community also keeps the quality of discussion high. Many of the top users know each other, and people have offline reputations to maintain. There was related discussion at What is needed to succeed in keeping up the level of the site and retaining the good contributors?, which you might be interested in. I don't think it's merely the nature of the profession (although it helps: it's in the nature of mathematics that a very high level of precision, and broad consensus on what it means for an answer to be correct, is possible). Roughly speaking, the norm from the beginning in 2009 has been to keep the level of question roughly at a level expected from someone who has passed PhD qualifying examinations and who is undertaking some research. Moderation from the community on this score is quite active, and the added benefit of being able to redirect questions which don't meet this threshold to M.SE has also helped a lot, as Noah explained. In addition to what was said already, another aspect is in my opinion that the site is relatively low volume, at least "per user," yet also globally. Very few people post (q&a) more than, say, every three days. This is in starck contrast to SO and math.SE where many regular users post a lot more (multiple posts almost every day). Put differently, the site is in the fortunate situation to have since a long time a very good size. It is small enough not to be hectic and it is large enough not to feel static even if one visits frequently.